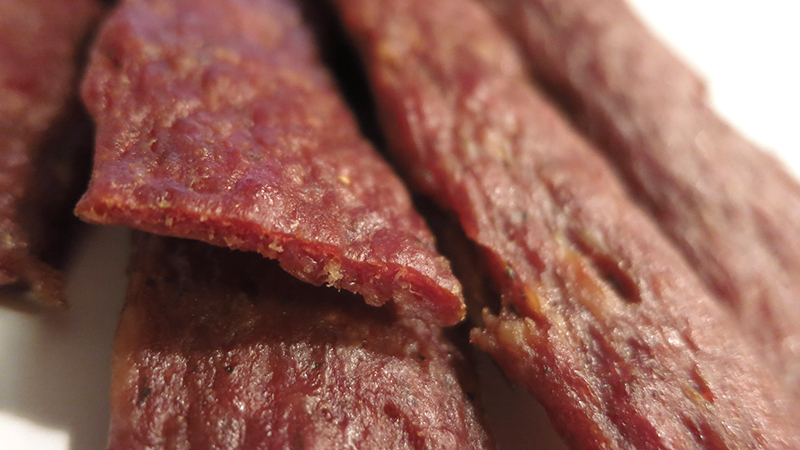 Little information is provided about Poor-Man's Jerky. This "Kickory" appears to be a combination of hickory smoke and habanero peppers. The first flavors I pick up on the tongue is a saltiness, with a touch of sweet, followed by a garlic and onion seasoning. There's also a light spicy heat building. The chewing brings on a habanero chile pepper flavor, while the heat builds up some more. For being named, "Kickory", it seems to hold up. The hickory smoke is noticeable if you look for it, but otherwise there are so many other flavors competing for attention that it gets overshadowed. The "kick" part of the name is dead on. The heat in this will warm you up. I'd rate it as "medium hot" on my personal heat scale (level 4 out of 5). Otherwise, the primary taste profile is that of a garlic and onion seasoning, paired with a habanero chile flavor. It's moderately salty, with graces of sweet and hickory smoke. 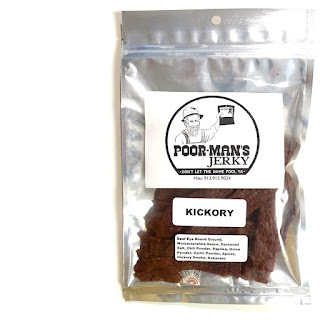 This Kickory variety from Poor-Man's Jerky manages to generate a good deal of snackbility for chile pepper fans through a well defined habanero flavor and a decent level of heat. But it also maintains that snackability through a savory blend of seasonings and marinades. 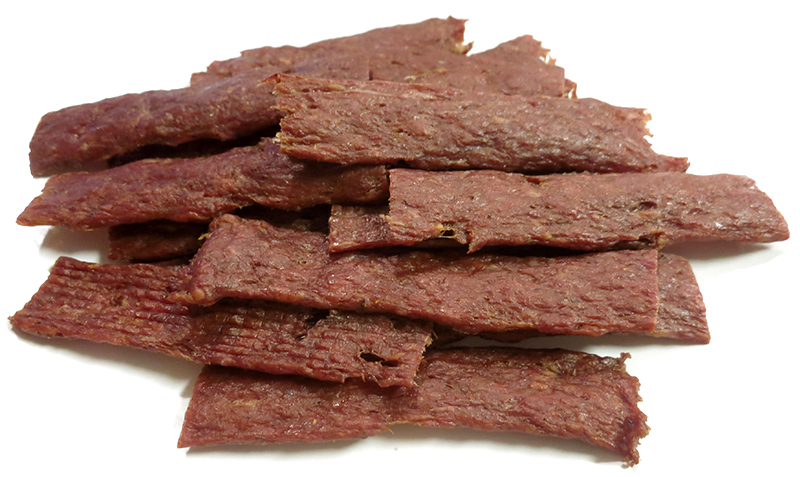 Even though many jerky aficionados tend to look past chopped and formed brands, this batch from Poor-Man's Jerky seems to win points for its easy chewing and great flavor. I tend to find the saltiness a little high, but perhaps it feels that way from the spicy heat. I would also like to get more hickory smoke, considering that's what this jerky is named for.